The boss of helicopter firm PDG Aviation Services has spoken of the company’s “great sadness” following the death of one of its pilots in a crash yesterday. 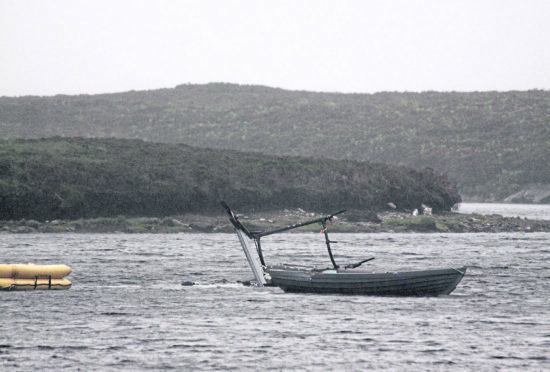 The man, 58, was transporting containers in connection with a nearby fish farm when his helicopter crashed into Loch Scadavay. Jerry Francis, chief executive of the firm said: “It is with great sadness that we confirm the death of one of our pilots following the crash of an AS350B2 helicopter whilst undertaking a load lifting tasking yesterday. “The incident occurred in North Uist at approximately 10.15am. An Air Accident Investigations Branch spokesman said a team of five people – including three inspectors – has been sent to investigate the accident and they are expected to arrive today.